Nothing is more beautiful than a clear day of summer in Korea. I love the start of summer. After long, freezing, and chilling time of winter, at last summer has started in South Korea. Though it has started long time ago but, damn it, I was too busy with my studies that I hardly had time to notice it:).No doubt Korea is a beautiful country but its beauty magnifies hundred times in summer. The last semester of university always brings responsibility and tough study times with a mix feelings of fear and happiness. I’m passing through this time. Last week was the toughest of my master studies. After finishing the final presentation of master thesis, I decided to visit as many beautiful places in Korea as possible. 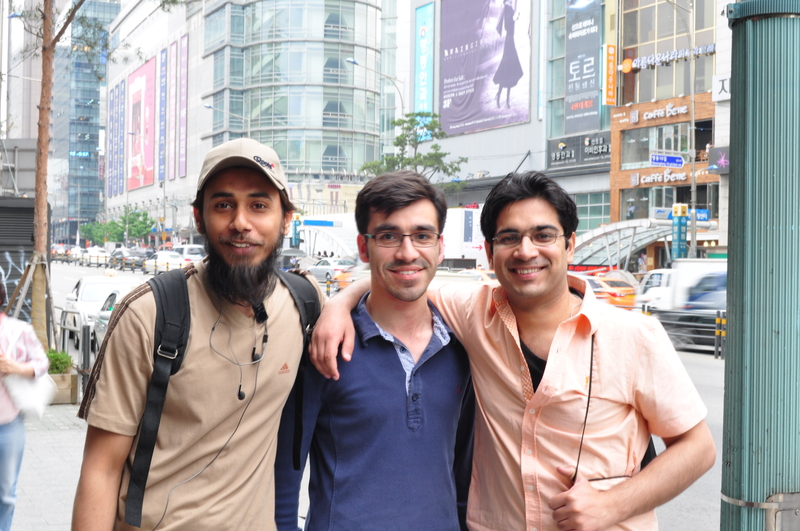 To start my expedition, I planned a day with three friends: Aamir, Umair, and Sarmad, to visit those parts of Seoul that attract the maximum tourists. 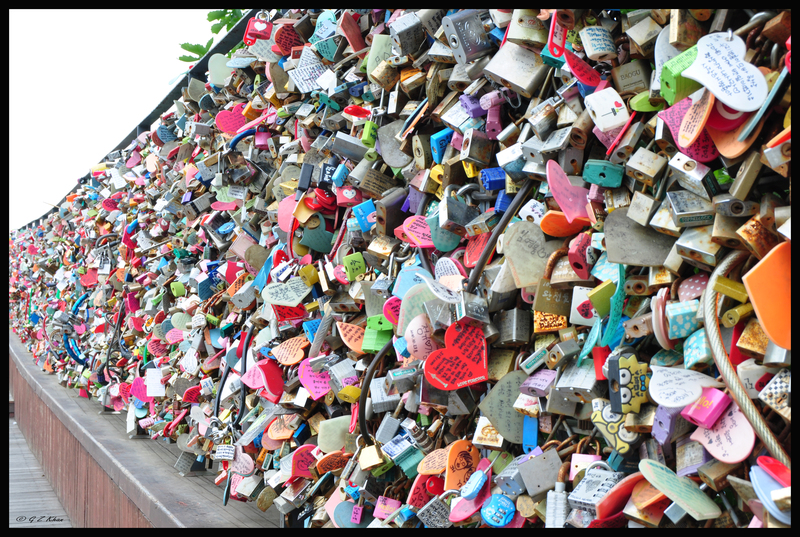 After scrutinizing through a list, our guide Aamir finalized three places: Seoul tower, Myoeongdong, and Han river. We had no other option to say yes as the plan seemed perfect. 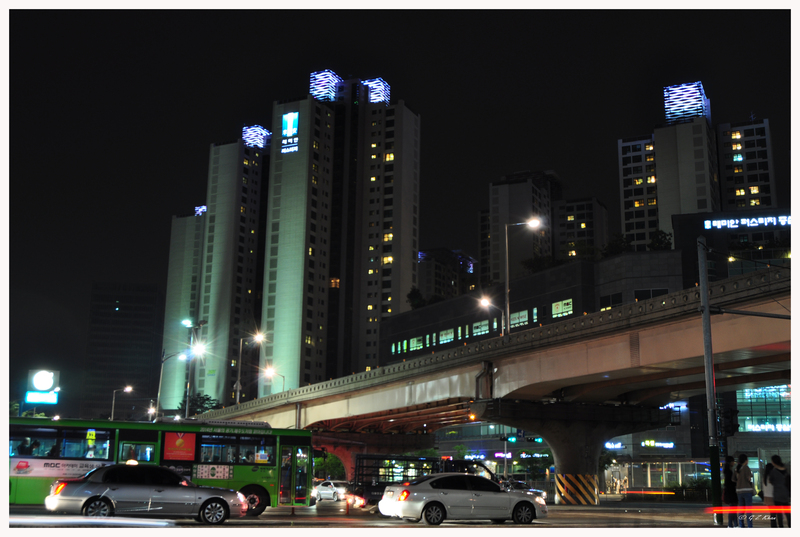 I wanted to include Itaewon to this list but it was not possible to go everywhere in one day. So here we go on a stroll through Seoul. L to R: Sarmad, Aamir, and Umair. I’m behind the camera. It was a beautiful day of summer, 25th of May to be exact; though it was not a sunny day but the weather was clear. 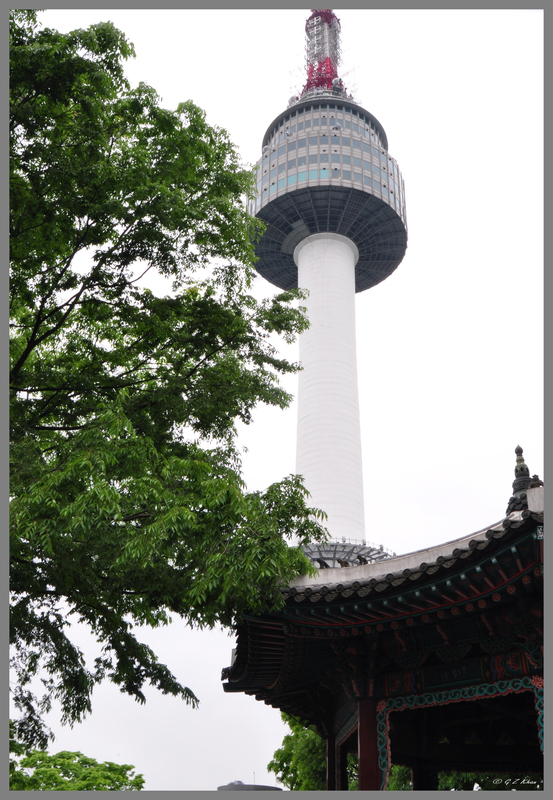 1) Seoul Tower: Our first destination was Seoul tower. 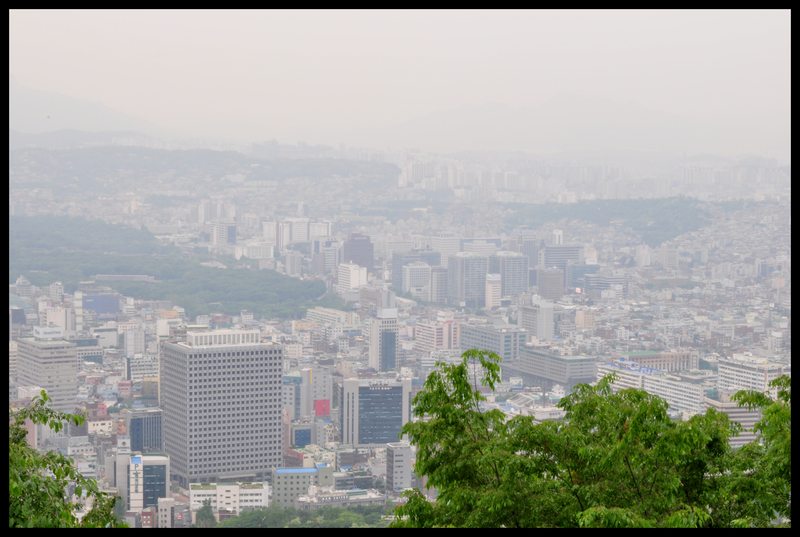 The best thing about Seoul tower is, you can see most of the prominent parts(yeah I’m a bit exaggerating) of the city from Seoul tower in just one view. 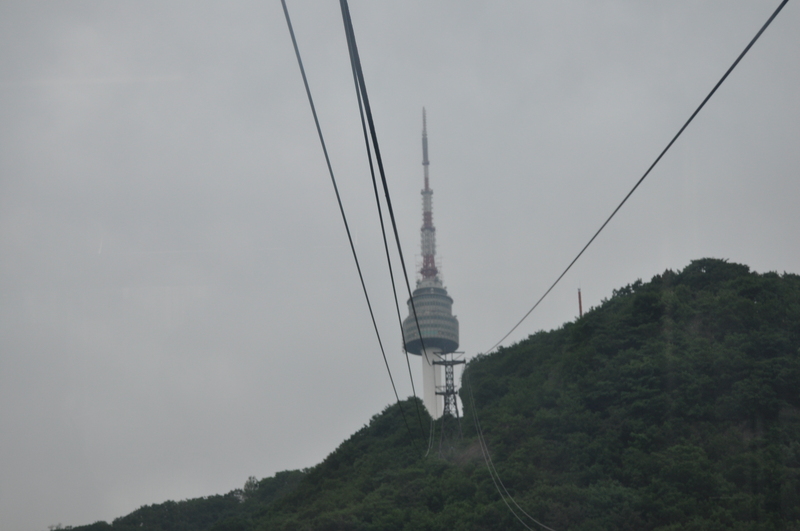 We took the cable car to reach the tower. You could also hike if you are not a lazy bone like us. There are some sitting places in the surrounding of this tower where people were sitting and enjoying the fresh breeze of summer when we got there. Some people also took the elevator inside the tower to reach the peak but we preferred to fool around here. 2) Myeoungdong: Our next stop was myeongdong. 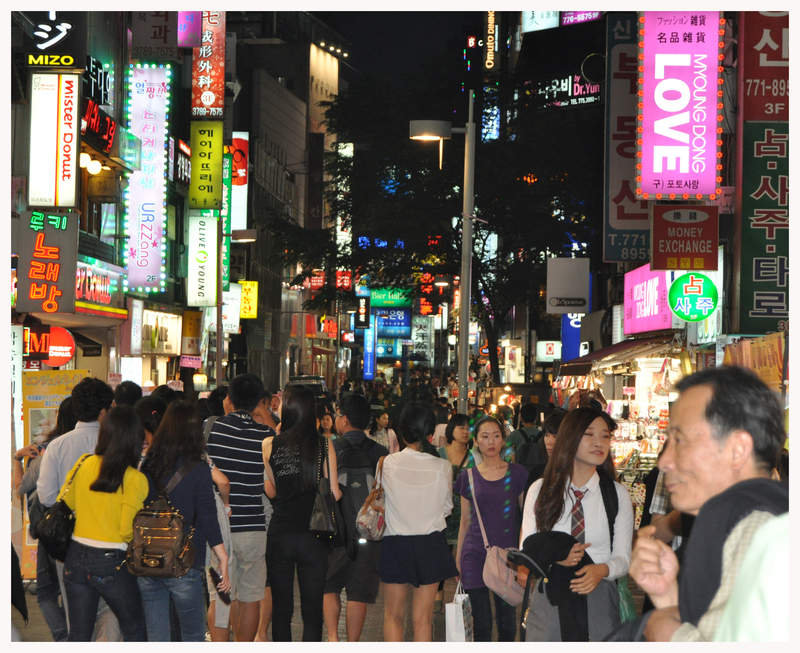 It is one of the busiest shopping places of Seoul. Its streets are always full of people. We had a fish burger at burger king there. Meanwhile Sarmad and Umair were busy doing shopping, when aamir and I were enjoying window shopping. After everyone got tired with his business, we headed for our final destination, Han river. 3) Han river: The beauty of Seoul is incomplete without Han river. We spent one and half hour there lying on the bank of the river. A view of Han river. On the left is Banpo bridge while Seoul tower could be seen in the front view. The effect of cool breeze, the soothing sound of water hitting the shore, the beautiful colors of cars and buildings’ lights making reflections in river water, and the illuminating view of Seoul, altogether hypnotized our tired minds. I was satisfied with my day as I had captured some beautiful pics. thank u. I’m trying to explore Korea but I am a bit lazy to upload it here on blog. 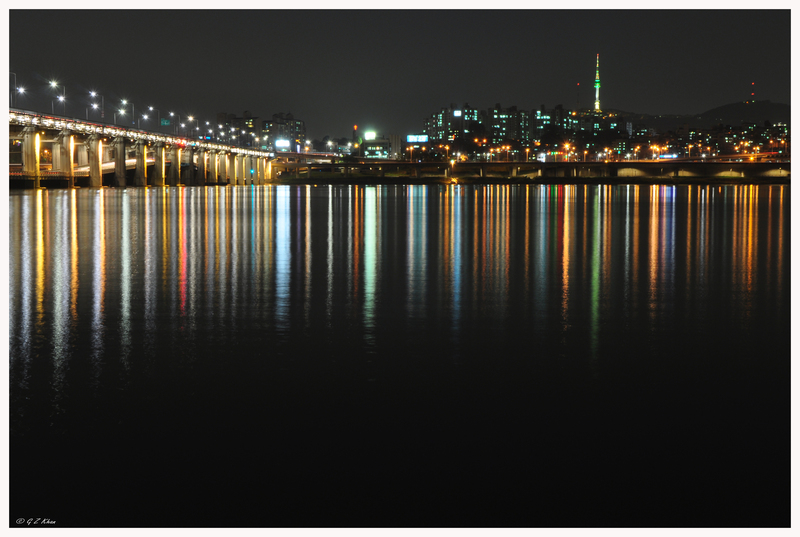 beautiful pix of the ever famous han river..that was a nice shot!